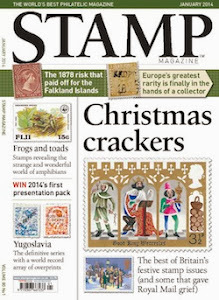 I must admit it will probably only appeal if linked to some childhood memory, but that's fine, I have stamps like that as well, which I will maybe show someday. 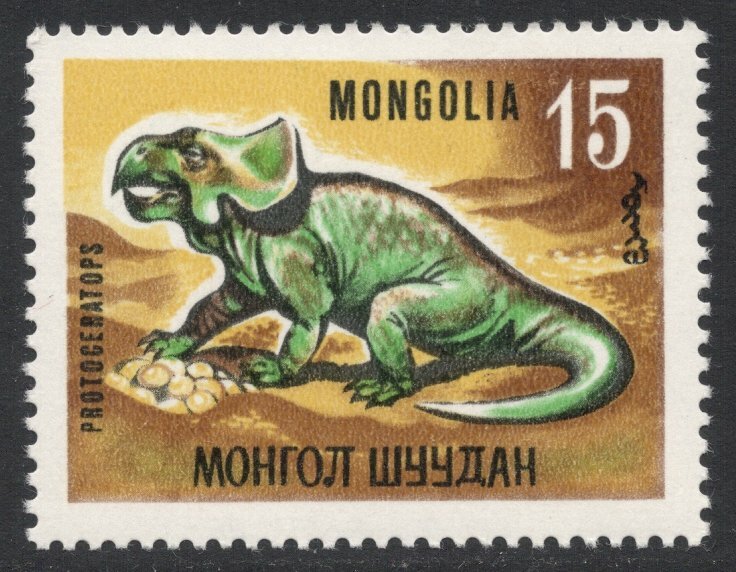 But seeing that Mongolia was named twice in our ongoing (as in: come on, say which country you think issues the most beautiful stamps) forum thread, which could be considered highly unusual, I thought I'd better delve into a Mongolian catalogue and see what the attraction is supposed to be. And I must say I didn't have to search for long. 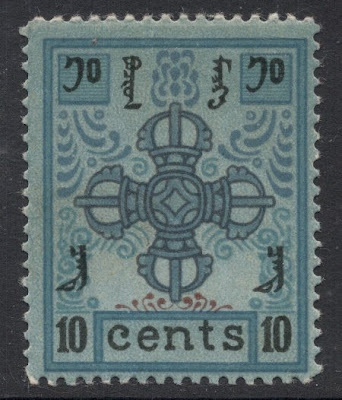 Better still: I was hooked as soon as I saw Mongolia's first set, issued in 1924! So I got some in and will show them to you today. The main design is the same for all seven values. It depicts a Buddhist symbol called the vishvavajra, or the Double Thunderbolt. I'm not too well-informed but if I understand it correctly, the centre is the God of Lightning, who speaks eternal truth, and the four arms if you like are his thunderbolts, or tongues (speaking wisdom). The word vajra (thunderbolt) also means diamond and is representative of the rock hard (i.e. indestructable) and endurable state of Buddhahood. Now, be all that as it may, it is very much an indigenous design (probably more so than dinosaurs! ), and therefore very appealing. And each design has a slightly different background. And also, and I quite like this, even though it's a monstrosity to mount, each value has its own size, so the higher the value, the larger the stamp! There are of course the usual varieties to collect, imperfs, double prints, and so on, although most are discarded as printer's waste. The only official variety really is the two types of perforation: 13.5 or 10. And then there's the strange case of the horizontal line of perforations through the middle! 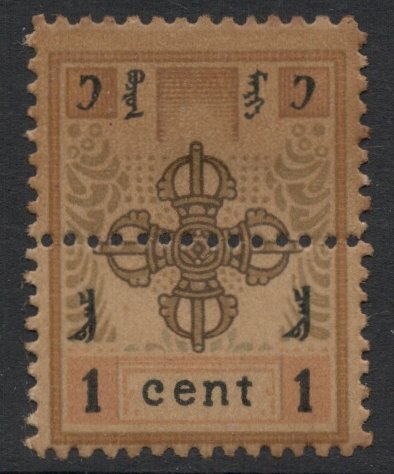 Well, apparently these stamps were meant for export and not postally valid, although some of them have again apparently been used. All in all I must say that my first acquaintance with Mongolia was very positive and it goes to show once again that you should never write off or slack anything before you know what you're talking about. Or after, for that matter, for if even brightly coloured dinosaurs have their attraction to some, then who are we to judge. Oh yes... 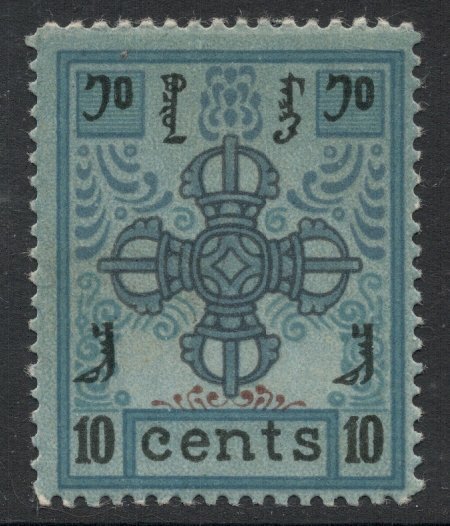 I've been hooked with Mongolian stamps since 1990s when I won a large batch of Mongolian "wallpaper" from local auction. For me the stamps of the 1960s are the most appealing ones for some bizarre reason. I acknowledge most consider these wallpaper, but I've managed to come by with postally used copies too once and awhile (they are about rare as hen's teeth though). Re the perforation varieties... Michel states there's a third perforation variety for these: 11½ for 5 cent stamp (valued at about 200€ used, 500€ mint). Sorry, I still prefer the dinosaur!! As a kid I was reading about the US adventurers digging up dinosaur bones and eggs in the Gobi desert during the same time period as your stamps came out. Note that the dino has a nest of eggs, just as the fossils found showed. Just a question about the currency. Did Mongolia use Chinese Cents during this period? Also, the Buddhist influence is interesting as I doubt it survived Mongolia's absorption into the soviet sphere of influence by the end of the 1920s. Thanks Keijo, for the perf tip. It's not mentioned in my catalogue. Pity I don't have a 5c value, it would be a nice find indeed! Ah Alex, so that's what that is. I was more thinking along the lines of it pouncing on a turtle for breakfast! With regards to the currency: yes, the 1924 issue is the first and last issue in Chinese currency of cents and dollars. 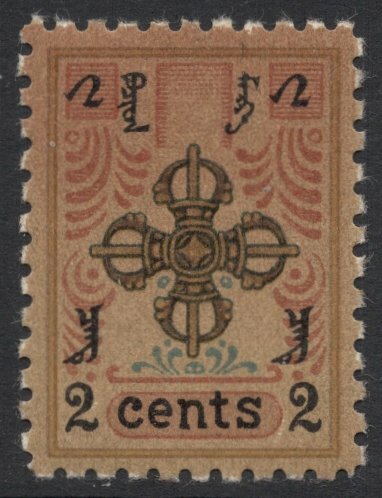 The next issue, from 1926, used the '100 mung is 1 tugrik' currency, which has been used ever since. All the following Mongolian stamps are very much communist in nature, with lots of Lenins, space, government buildings, sports and red flags. The only 1970s blatant Buddhism theme (to the untrained eye, that is) is a set depicting Mongolian architecture which includes a few Buddhist temples. Interestingly, in the late 1980s, early 1990s we see a bit of an upsurge, with more Buddhist temples and even two sets depicting Buddhas. My catalogue only goes to 1999 so I'm not sure whether this new trend is continued into this century. Hi, I liked your blog and I invite you to join our website:http://www.coollectors.com – The Collectors Free Marketplace & Club – where you can Buy, Sell, Exchange & Catalog Collectibles, free of charge.